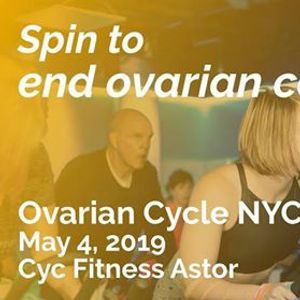 Ovarian Cycle is a fun way to fight ovarian cancer with OCRA. Our spin events, held nation-wide, raise critical funds for research and patient support. * UPDATE: Our 1:30-2:30 PM time slot is SOLD OUT! We've added another time slot, 2:30-3:30, to accommodate all our amazing riders. Sign up while you still can! 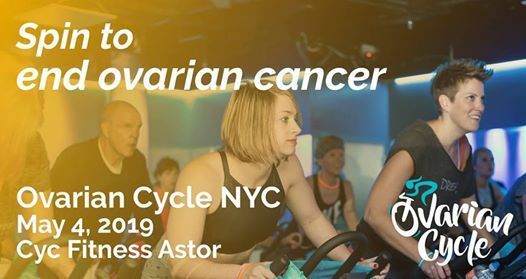 Join us Saturday, May 4th at Cyc Fitness Astor for a one-hour ride followed by raffle and celebration! 50% of the funds raised by SHARE Cancer Support will benefit SHARE, a community partner of OCRA. If you would like to raise funds for SHARE, be sure to join TEAM SHARE when you sign up. Bike space is limited for this event so don't wait!